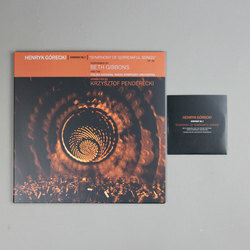 Beth Gibbons, The Polish National Radio Symphony Orchestra and Krzysztof Penderecki - Henryk Górecki: Symphony No. 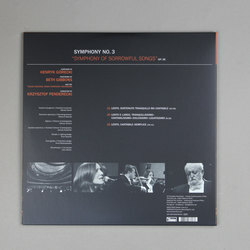 3 (Symphony Of Sorrowful Songs). Vinyl LP, CD. Bleep. Instant MP3 download with all Vinyl / Vinyl / CD / CD purchases. It’s one of those things that instantly feels right - so natural, in fact, that you’re surprised it wasn’t done sooner. Beth Gibbons singing classical music. Of course. 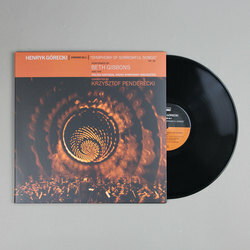 Gibbons’ work in Portishead has long been influenced by the orchestral. Some of her most celebrated vocal performances have been when the group have brought classical instruments into play (think ‘All Mine’), and she more than held her own alongside the New York Philharmonic on the 1998 concert record Roseland NYC Live. Still, to go from singing her own material to taking the lead vocal part on a piece as celebrated as Henryk Górecki’s Symphony No. 3 must have felt like quite a leap. When you take into account the fact that Górecki’s ‘Symphony Of Sorrowful Songs’ is in an unfamiliar language and higher vocal register than Gibbons usually sings in, and you start to wonder just how much work will have been needed for her to pull this thing off. 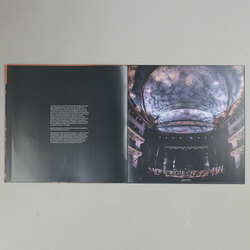 There was well over a year of gestation between the idea for this concert being floated and the eventual performance - on 29 November 2014 at Warsaw’s National Opera Grand Theatre. 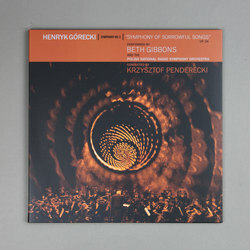 All involved here - Gibbons, the Polish National Radio Symphony Orchestra and conductor Krzysztof Penderecki - succeed spectacularly. Górecki’s music is stirring and sad in equal measure, reminiscent of Antonín Dvořák and Johannes Brahms in the way it marries lush harmony with more pensive moments. For instance, the point in the first movement where the piece’s dovetailing violins give way to Gibbons’ first vocal entry is simply breathtaking. Gibbons is not a natural soprano, but she took vocal lessons in order to give herself more control in the high register. It’s a move that pays off in spades, allowing her to shape her phrasing expertly while maintaining her typical trilling vibrato. The slightly wounded tone that has always been part of Gibbon’s arsenal works perfectly when paired with the sombre beauty of Górecki’s composition. This performance has been gathered into a wonderful set by Domino Records. 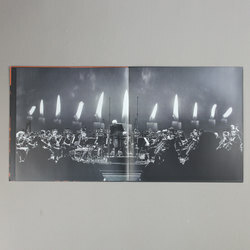 The physical editions each come with informative booklets, and there are both vinyl and CD versions that also feature a DVD of the concert. This new recording of Górecki’s third symphony is a triumph for all involved.